At Trinicom, our Business Class Asterisk PBX Servers are run on Linux servers, todays most trusted operating system for internet applications. The Asterisk software provides a feature-rich platform, along with frequent updates, which allows Trinicom to provide the type of telecom technologies our business clients need to be competitive and effective in today’s marketplace. 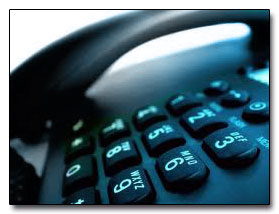 We chose the Asterisk system for our business class PBX systems because it has been widely utilized in the telecom industry with a proven record of being able to stand up to the most crucial business needs. Your telephone system is a mision-critical component in your business and you can be confident that Trinicom’s Asterisk PBX Server will meet and exceed your expectations.